A team from our local secondary school, Aboyne Academy, reached the shortlist for the Vodafone Challenge as part of Digital Day 2018 during which we ran a workshop with the pupils.Over 150 schools across the UK took part in Digital Day last November, an initiative run by BIMA to give young people an insight in to the world of technology and digital marketing from those involved directly in the industry. Red Evolution partnered with Aboyne Academy to explain what a digital marketing agency does and the career possibilities in the sector. They then set three teams to work on challenges provided by Vodafone, the BBC and The FA. 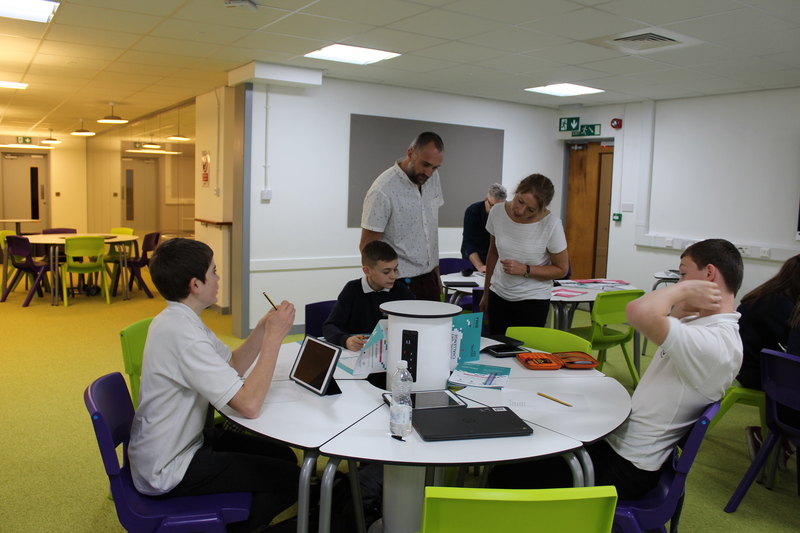 The teams worked very hard on their proposals, researching their target audiences, brainstorming ideas and pitching them to teachers, pupils and Red Evolution who selected the winning idea to put forward to the national final. The impressive Aboyne entry made it to the shortlist for the Vodafone Challenge which is great news for the future digital stars. At the end of Digital Day, Red Evolution invited pupils from all years to attend a talk about the range of career paths available in the digital industry and the different routes taken by their team of coders, developers, designers and marketers. Two of the pupils have decided to spend a week with the agency in Aboyne later this year to gain valuable work experience.